What will be output of following program ? 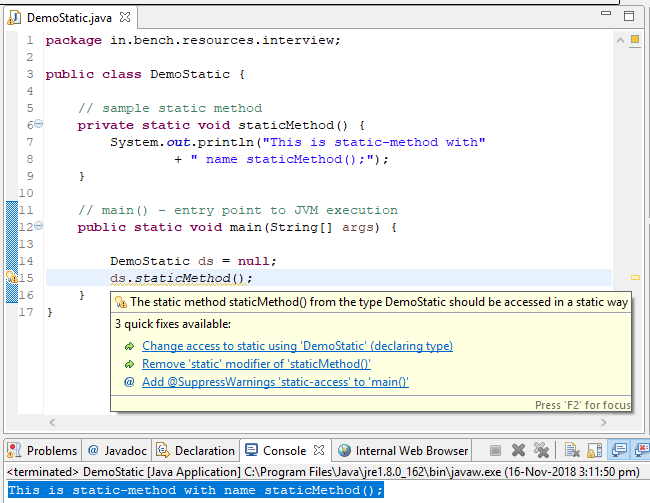 Share with us, if you have faced any tricky interview question/program faced during Java Interview. We will publish along with solution.